we build the future of architecture and we are the leading national Architecture Design. 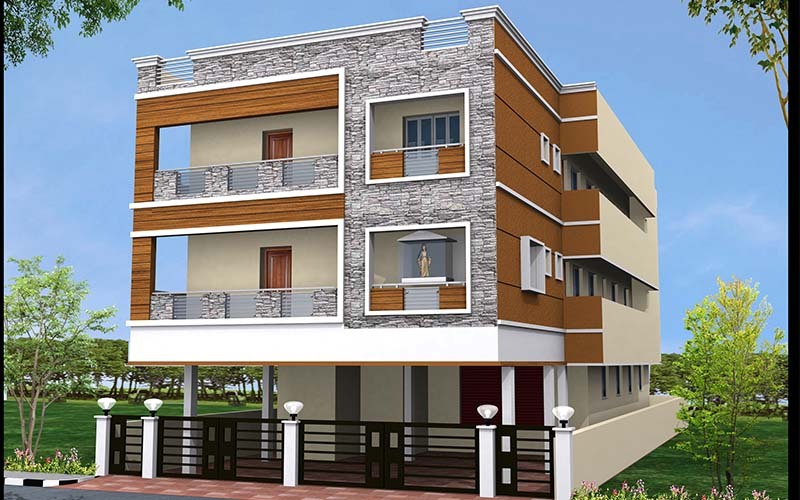 SHREE ARUNACHALA FOUNDATIONS PVT LTD, a National and Global Architectural and Designing Company with more than 20 Successful Projects running with a unit of 100 is the Chennai’s largest Architectural foundation. Our 20 creative minds provide customized design studios and solutions for effective architectural outcomes and client satisfaction. Adding to this Our Managing Director, R.Ravi is an Ex. President of Lions club – Anna Nagar and has been the President of Tamilnadu Flyash Bricks & Blocks Manufacturers Association(Chennai Zone). Find an inspiration for your design and choose from our wide range of Design services. Partner with us and experience the choice of traditional/ modern home fashion Designs and enjoy great services, procurements, and a quality approach. We provide services on commercial Design for an Innovative and Transformative Designs for our clients so as to enjoy great ambience and drive more audience. Your living space reflects your personality!! Experience the sense of aesthetic designs for your interiors and exteriors and a custom design assistance is also available. Our Managing Director, R.Ravi is an Ex. President of Lions club – Anna Nagar and has been the President of Tamilnadu Flyash Bricks & Blocks Manufacturers Association – Chennai Zone. 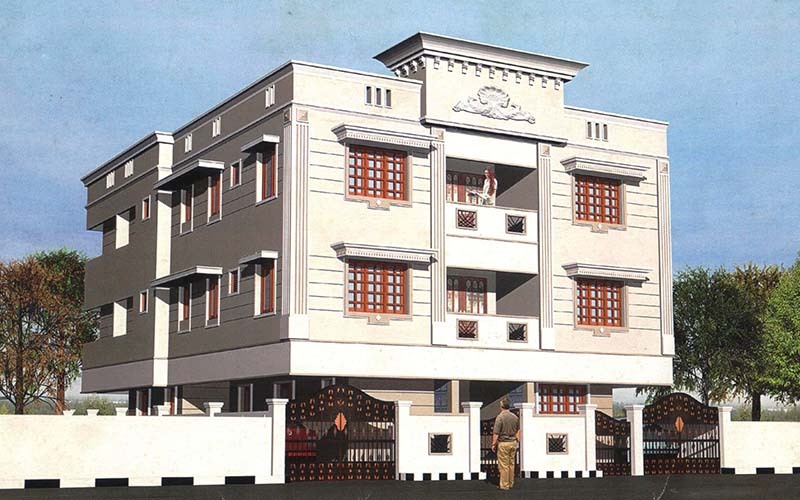 Get an aesthetic design for your building with Arunachal builders. 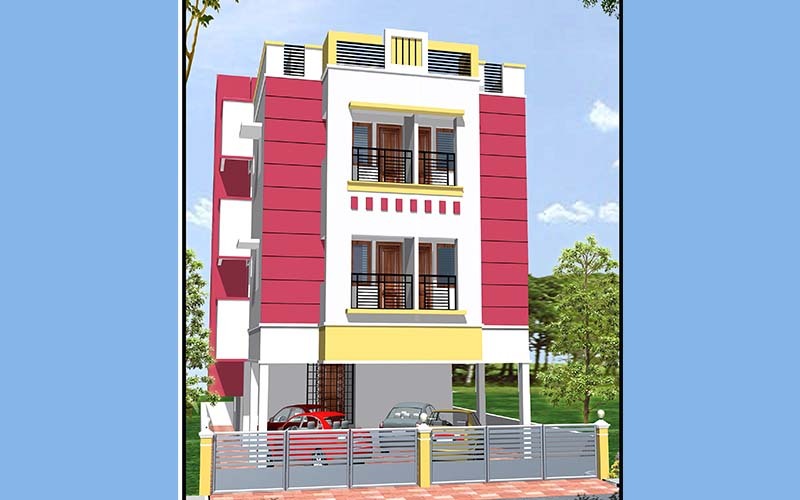 2,938 Sq Ft. • 5 Beds • 4 Baths Mudichur, Chennai. we create an innovative plan and design your requirement. Customer Specification is our initial move in the construction process. Our Cost estimation service are requirement based and most affordable. We handover the project with your complete satisfaction. Just an exceptional overall experience. From the quality of interaction and design to the flawless execution against our shared vision. This is an exceptional team – talented, dedicated and completely committed to the client. The project has exceeded all of our expectations in every way. Thank you all so much. We are happy to be associated with this co. and we are very confident in their capabilities and the quality of work they deliver. Customer feedback is very positive and the build quality is to a very high standard. We are pleased to add Singapore and Hong Kong lounges designed by INc to the Emirates portfolio of quality airport facilities for our first, business and skywards gold customers. Visit us: AD 61, New No.3, 3rd street, AD Block, Anna Nagar, Chennai – 600040.